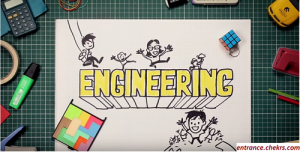 Engineering is not only a word, it deals with the practical implementation of technical skills and scientific applications in a direction to solve the daily life technical issues in a practice to make the human life stand into ease. Engineering is the combined implementation of the concepts of Science and mathematics in a practice to innovate something new and interesting that advances the human living standards. You will be able to access the complete details about various Career Streams in Engineering, for that you are advised to patiently visit the details given below. Engineering is the branch of technology and science concerned with the planning, design, building, and use of engines, structures and machines. Educational Qualification: The candidates should have completed their class 12th education with physics, chemistry, and maths with a minimum of 50% marks in PCM. Note: The candidates have to qualify the respective entrances exams for getting the admission in a variety of engineering colleges all across the country. Engineering is subdivided into a huge number of substreams with their specific expertise in a variety of engineering branches. Engineers are software savvy and can use a range of different computing programs to assist in verifying designs and predicting how structures will behave in the environment. Engineering can be carried out in a variety of fields, these fields can be categorised as shown below. Vehicles: Helps us to cover miles of distance in a very short period of time. Cellular Phones: Made it possible to communicate with people who are miles apart from us. Google: Made it possible to ask any type of questions with most appropriate solutions at any instance of time. Television, Radio: Keeps us connected with the daily happenings all around the world. 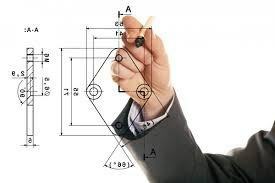 Engineers are planners, problem solvers, organisers, executers, communicators, designers and calculators. These skills are heavily based on the logical decision making and rational thinking, that’s the only reason why Engineers comes from maths and science background. Engineering is an extraordinary creative activity that helps us to solve complicated problems. For any type of queries or issues, you are invited to contact our experts we will respond you as soon as possible with the most optimal solutions as soon as possible.